Get away from city life fam trip to Johnston County, NC. Ready to get away from the busy city life? Escape to Johnston County, NC where you can slow down and get some fresh air outside at our many agri-tourism sites and outdoor recreation attractions. Or experience our variety of shopping at the Carolina Premium Outlets or antique boutiques. After all that&apos;s done relax at one of our many wineries or breweries. Find all this, and more to write about in Johnston County. Tour Johnston County with history lessons, shopping, music, and Southern food. Get a sense of what we come from and why we are so proud. Take it outside while you learn about our Civil War history and wildlife in Johnston County. Top off the day with great local food and brews made from locally grown produce. It&apos;s time for a lesson on how rural life was in Johnston County during the Great Depression era. To do this, the Tobacco Farm Life Museum has a restored farmstead, with main house, detached kitchen, smoke house, tobacco barn, 1890s one-room schoolhouse, and reproduction pack house. There is also a 6,000 sq foot exhibit gallery displaying artifacts from all aspects of farm life, along with a hands-on children&apos;s exhibit, household goods, musical instruments, clothing and agricultural tools. Every Saturday the Museum features a traditional trade, craft or art on-site. Vendors demonstrate traditional skills and often have items for sale. Now it&apos;s time for some Johnston County wine. In Pine Level you will find Hinnant Family Vineyards, a family-owned winery that offers picturesque vineyards complete with tours and tastings. The Hinnant Family has been dedicated to cultivating the best quality Muscadine grapes in North Carolina for over 30 years. The onsite gift shop offers a variety of wines, jellies, juices, and gifts that include their award-winning wines. Ready for some Southern food? Get lunch at Parkside Café while you&apos;re in Pine Level and treat yourself to a country home-cooked meal. After you&apos;ve filled up, it&apos;s time to head to Smithfield to enjoy an amazing collection of memorabilia from Hollywood legend and Johnston County native, Ava Gardner. At the Ava Gardner Museum you will find outfits from movies, learn about her life growing up, and see things she collected throughout her life. The gift shop offer&apos;s Ava&apos;s movies, cookbooks, Christmas ornaments, and calendars for a unique gift idea. Only a few minutes down the road you will find the Carolina Premium Outlets which is the largest outlet center in Eastern NC, enjoy over 85 outlet shops with savings of 25% to 65% everyday. Simple Twist is a family owned café and bar featuring fresh, made from scratch food and drinks. They use locally grown produce and carry products from all over Johnston County and NC. They now have three locations in the county as well as a bottle shop and tap room in Downtown Smithfield. Kick back with a local craft beer and enjoy one of Chef Nate&apos;s twisted take on staples like the Twisted guacamole, served with blue cheese and bacon crumbles. To end your night take in a show at American Music Jubilee. This Branson-style production entertains visitors and groups on 1-95 from New York to Miami with musical delights from &apos;50&apos;s rock &apos;n&apos; roll to classic and contemporary country, gospel, and a stirring patriotic tribute. The popular Christmas show starts early November and runs through the week of Christmas. Day 2: Battlefields, Birds, & Brews-- Oh My! Rise and shine soldier! It&apos;s time to head to the site of the largest Civil War Battlefield in the state of North Carolina and National Historic Landmark, Bentonville Battlefield, fought on March 19-21, 1865. Tour The Harper House (c. 1850&apos;s) which functioned as a Union Field Hospital during the battle. Drive tours allow stops at several Civil War Trail pull-offs, and walk the confederate cemetery and Union earthworks trails. The museum and visitor center offers displays and interprets many artifacts from the three-day battle. Gift shop onsite features t-shirts, extensive book collections, and other various battlefield items. Only minutes away, visit Howell Woods Environmental Learning Center. This 2,856 acre outdoor classroom with over 20 miles of trails is available for hiking, horseback and bike riding. With it being a part of our local Community College, take advantage of the environmental educations programs available. 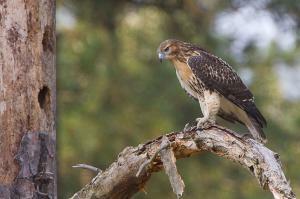 Bird watching is a popular activity on the site as the trails are part of the North Carolina Birding Trail. Take some time to relax with some fishing or hunting activities, and be sure to come back when you have time for a picnic or can stay at the campgrounds. Being outside making you hungry? 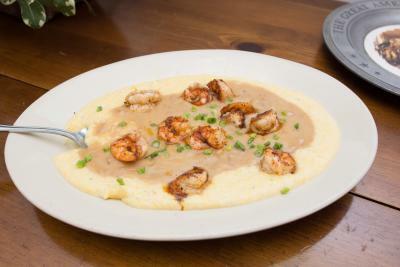 Mannings Restaurant offers a combination of both modern creative and traditional southern style dishes. Their southern regional themed restaurant portrays Chef Howard Mannings’ favorite dishes growing up in the Carolinas with a modern twist. While in Clayton tour some of the quaint downtown boutiques and shops. Time to top off your weekend at Double Barley Brewing in Smithfield. Head down Hwy 70 where you will find this Johnston County brewery with a rustic but modern twist taproom. Here you will taste a variety of craft beers in the lounge area or in the outdoor beer garden. Give Wilma&apos;s Wandering EyePA a try. This beer is so drinkable that it’s easy to forget about its high ABV (12.0%). . . which leads to the name! Tread lightly or you too could end up with a wandering eye. Enjoy all this trip idea has to offer by mixing and matching to your particular interest; seasonally, any of these options can be exchanged for a trip to a local farm to pick strawberries or pumpkins and learn more about Johnston County&apos;s agricultural heritage. Be sure to check days and hours of operation for each venue. Please contact us if you have specific interests or idea in mind so we can help make this a trip you won&apos;t forget.